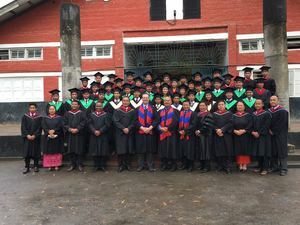 Trinity College and Seminary (TCS) is located in the village of Churachanpur in Manipur, India. The seminary offers three degrees – Diploma in Theology, Bachelor of Theology and Master of Divinity accredited by Asian Theological Accreditation (ATA). Over 286 students have graduated from TCS since 2003. 75 of these graduates are serving in the ministry as Pastors and Missionaries. TCS has 13 amazing faculty members and a team of administrative workers who love Jesus and love serving the students at TCS.